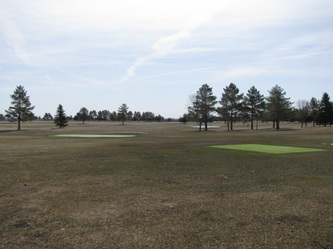 This nine-hole golf course is just three miles west of Leola and is a great way to relax and have fun. There are weekly golf nights: Wednesdays -Ladies Night & Thursdays - Gentlemen's Night in the summer months. New artificial turf greens have been installed in recent years. In the spring of 2016, a new fourteen stall golf cart storage shed was constructed. In 2018 another storage shed was constructed for golf carts and mowing equipment. There are currently thirty golf cart storage units on the premises. The Golf Club built a new Club House in 2014. It has a handicapped accessible bathroom, a fully functioning kitchen, and an updated heating and cooling system. Cost to rent the Club House is $100.00 per day for public use. Contact the Leola Municipal Building 1-605-439-3299 for more information or reservations. Several Golf Tournaments are held throughout the summer. Please check the Events Page for tournament information.